・Finished searching PsycINFO", please click the icon as follows. 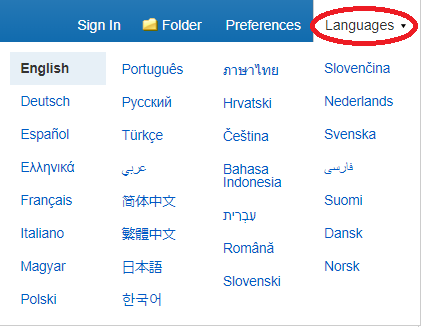 ・To choose Interface Language, pointing cursor to ”Languages” and click. We can select from 30 languages.